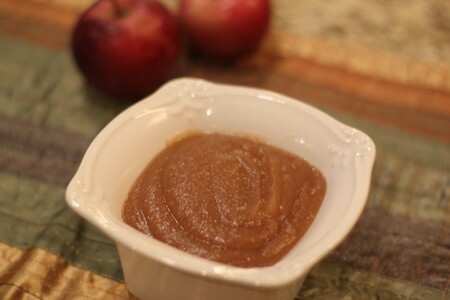 Amazing applesauce made in your slow cooker is possible and sooooo easy! This fall break we picked some apples at a local orchard. 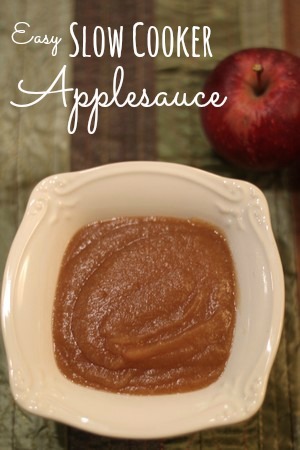 I know the kids love applesauce and this recipe is so simple, I knew they would love it! My youngest son told me it was the best applesauce he had ever had before. So let’s get on with the recipe. If you don’t want to pick your own, you can easily pick up all the ingredients you need for this recipe at your local grocery store or your favorite neighborhood Aldi. All it takes is 10 cooking apples (we used Golden Delicious & Jonagold), sugar, cinnamon, lemon juice, apple cider/juice or just use water. A few days before I knew we would go apple picking, I ordered this Apple Peeler/Corer/Slicer on Amazon. It is fantastic! However, be SURE TO READ THE INSTRUCTION THOROUGHLY before using. I didn’t and bent the corer/slicer piece before I really got to enjoy it! I was still able to use the peeler part thankfully and it saved so much time. 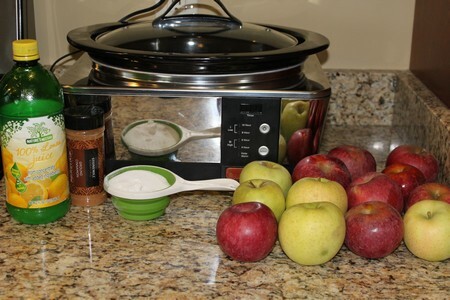 You don’t have to peel your apples as you can cook them down in the cook pot and use a immersion blender to blend in the peels after cooking in your slow cooker. You probably get more nutrients if you leave the peels on and cook them in. The peeling takes most of your prep time but it went quickly with the peeler. Once peeled, coarsely chop apples and place all the ingredients in your slow cooker and cook for 4-6 hours on low heat. At around 4 hours, my son was begging to try it since it smelled so good. I used the immersion blender and blended it up and he ate it warm. I could have waited a couple more hours and I would have been able to simply stir the apples into applesauce but he couldn’t wait. I was just as excited as he was to try this recipe out. 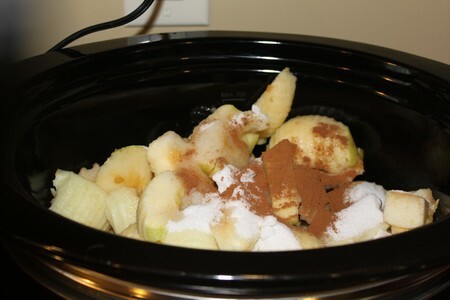 Delicious homemade slow cooker applesauce. I was completely amazed at how easy it really was. This is a recipe you can adjust the amount of sugar and cinnamon to your own preferences. We won’t have any leftovers after this first batch but I’m going to make up another batch and freeze in smaller portions. I think we have found a new favorite dessert in our household. I don’t know, do you call this applesauce a dessert? Cook on low for 4-6 hours until apples stir into applesauce. I love homemade applesauce, especially like your son ate it ,warm ,and still a little chunky. I never thot to make it in slow cooker, thanks for telling us!